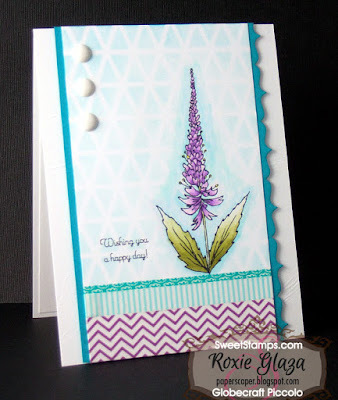 I used the Langrams stencil with Ranger distress ink both from SweetStamps for the background on this card and the stencil will be available in the store soon. 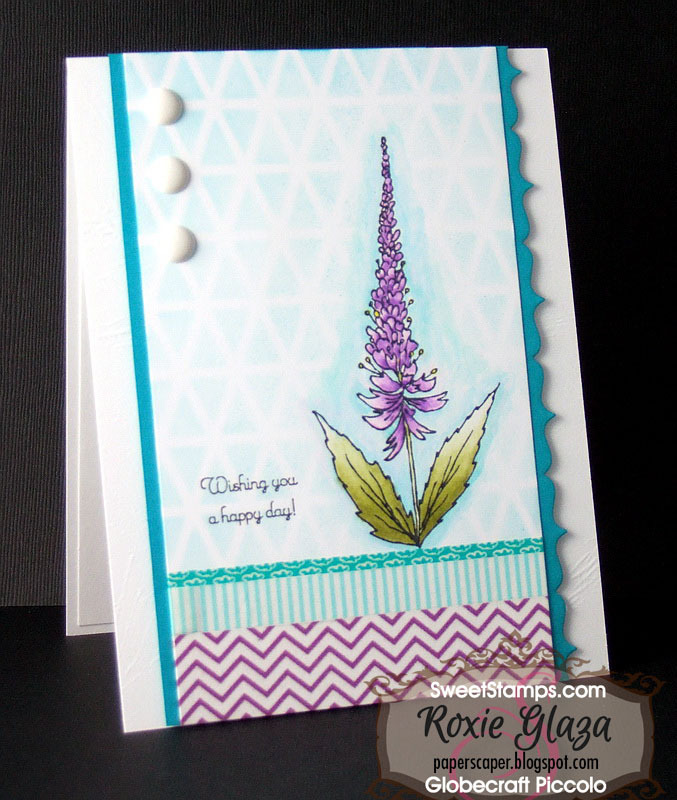 This is so pretty, I love the soft muted stenciled background and the shadowing around the flower. Beautiful! !